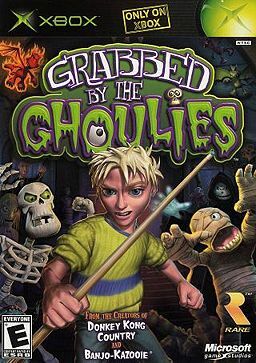 A teenage boy named Cooper sees his girlfriend grabbed by ghoulies and dragged into an old abandoned house. He'll have to fight them to get her back, while avoiding the tricks and traps littered across Ghoulhaven Hall. Avoid letting Cooper get too scared -- if he does, he'll be overwhelmed by fear, unable to act -- and an easy target for the Ghoulies!